Check it out! 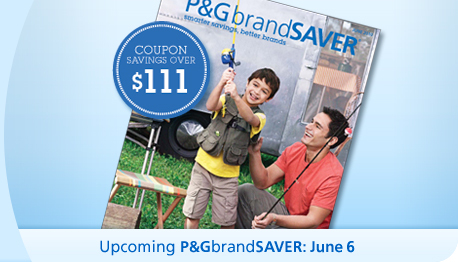 P&G insert will be available – 6/6/10. Click HERE for more information. Note: This will have $111 dollars worth of coupons. The last 4 P&G’s had $133, $74, $162 and $128 worth!